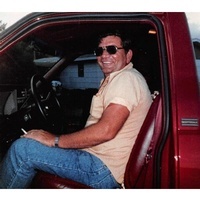 WALTER W. “BUD” SCHULZE, JR.
Walter W. “Bud” Schulze, Jr. of Lake Wales passed away Monday, January 21, 2019 at his residence. He was born November 9, 1940 in Evansville, IN to the late Walter and Valerie Schulze; he grew up in Pompano Beach and came here from Boca Raton 41 years ago. He was a retired commercial construction superintendent, member of Impact Church and served in the U.S. Army during the Cuban Crisis. He was also a member of the American Legion in Lake Wales and enjoyed fishing, hunting and spending time with his family and friends. Survivors include his wife of 48 years, Eileen A. Schulze; daughters, Valerie Schick and husband, Donnie of Pompano Beach and Dawna Hall of Lake City; sons, Ty W. Schulze of Lake Wales, Troy Schulze and wife, Kami of Lake Wales, Tim Schulze and wife, Laura of Lake Wales and Walter “Butch” Schulze and wife, Sandra of Fort Lauderdale; nine grandchildren and three great-grandchildren. Funeral service will be held 4:00 p.m. Saturday, January 26, 2019 at Impact Church with Rev. Walter Nelson officiating.